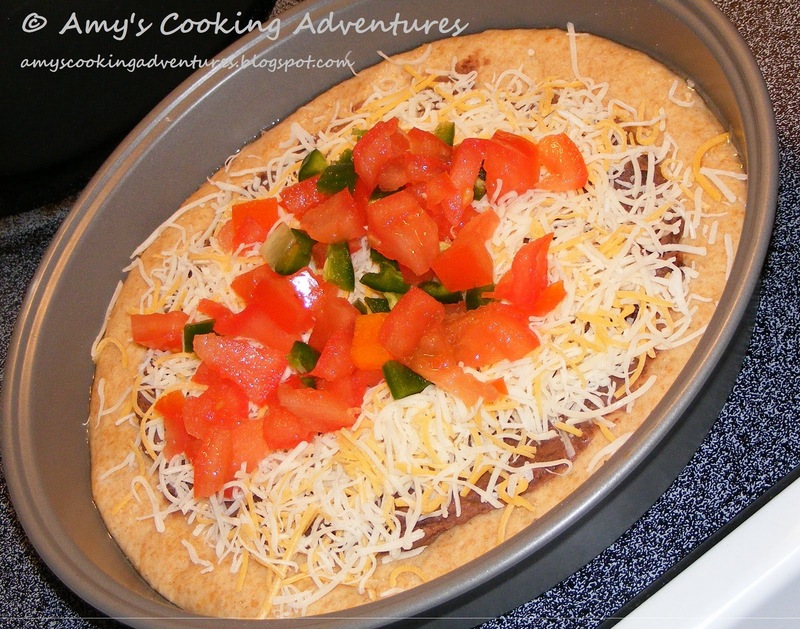 To make this pizza, I used my recipe for Pizza Hut Pan Pizza dough, black bean dip (which freezes well if you don’t use it all) and a few other toppings. Spread the bean dip onto the crust in an even layer. Top with the shredded cheese. Sprinkle the diced jalapeños, tomatoes, and onions over the top. 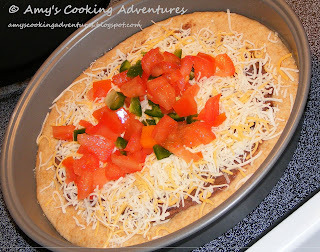 Bake for 10-15 minutes or until cheese is melted and crust is lightly browned. Ooh Amy, this looks great! 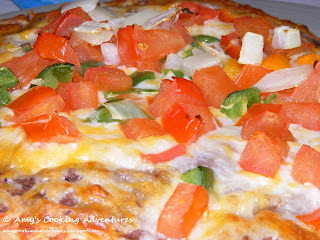 My family would love this Mexican Pizza! Jalapeno on pizza...mmmmm...I love the toppings! I always have room for pizza. Yummy! Looks great - I definitely think that we enjoy our home made pizzas way more than a take away pizza on a Friday night.